The Vikings’ hiring of Gary and Klint Kubiak was welcome news to Kyle Sloter, who has big goals for someone who has never taken a snap during a regular-season NFL game. The Super Bowl was in Kyle Sloter’s backyard. The pinnacle of his aspirations was just a 30-minute drive south on U.S. Highway 19 from where he threw touchdowns as a suburban Atlanta high school star. He was in town, too, absorbing the week’s events where he floated through circuses and caught up with former teammates like Von Miller. But Sloter, the 25-year-old Vikings quarterback, wasn’t interested in the crowd at the big game. The Vikings’ hiring of both Kubiaks last month was welcomed news to Sloter, who quickly reached out to his former and current quarterbacks coach for whom he threw for a 125.4 passer rating in the 2017 preseason. At the start of the NFL offseason, plans are written in pencil. 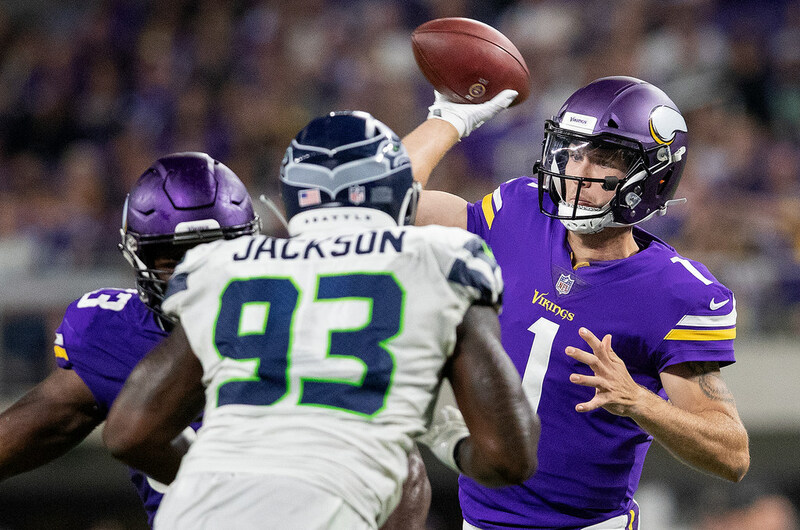 The Vikings offense will take shape over months, but Sloter is almost certain about one thing for a 2019 version headed by coordinator Kevin Stefanski and the Kubiaks. And it’s a good guess considering Mike Zimmer’s pleas and Gary Kubiak offenses having a 47-percent run rate in his 22 seasons of oversight. Sloter is positioned to possibly compete for the backup job this summer with whomever the Vikings add to the mix behind Kirk Cousins. In the coming weeks, he said he’ll refine mechanics, such as footwork and body position, in Denver with his personal coach Steve Fairchild – who coached Klint Kubiak at Colorado State. Last fall’s 16 weeks as the scout team quarterback already left Sloter feeling he’s grown mentally with better decision making and timing.